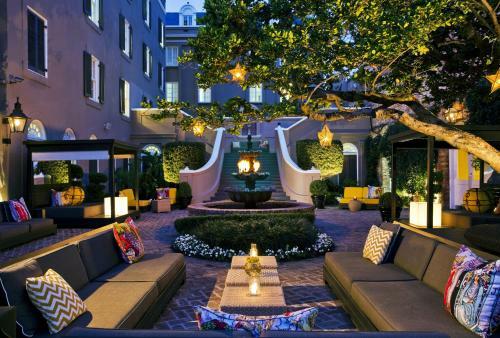 Next to the historic Jackson Square and within walking distance of the Riverwalk, this hotel in the French Quarter of New Orleans offers an outdoor courtyard pool and an on-site restaurant. W New Orleans - French Quarter features a cosy Living Room with extensive bookshelves and specially designed game tables. After working in the well-equipped business centre, guests can relax beside out fountain in the outdoor courtyard. While staying at the French Quarter New Orleans W, guests can enjoy the hotel's Whatever/Whenever service for every thing from dinner reservations to transportation arrangements. For on-site dining, guests can enjoy fine Italian cuisine at Bacco restaurant. W New Orleans French Quarter: 354 reviews, photos, and deals from real travelers and locals in New Orleans, Louisiana.